Kosovo’s leadership continues to be divided about the 100% tax hike slapped on imports coming from Serbia and Bosnia and Herzegovina. 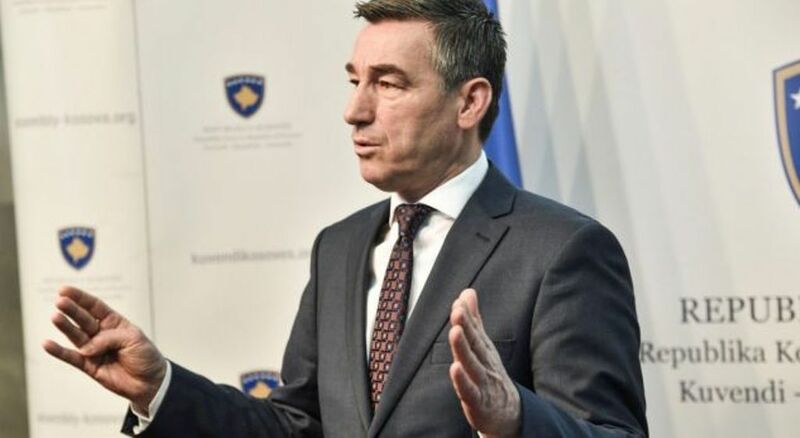 While the Prime Minister of Kosovo, Ramush Haradinaj has categorically rejected the possibility of suspending these tariffs, parliamentary speaker Kadri Veseli has been more flexible in this regards. Veseli has drafted a document which foresees the suspension of the tax for a period of 120 days, during which time Serbia needs to fulfil 10 conditions. According to this document which has been secured by Klan Kosova, Serbia should recognize all the documents, licenses, stamps and the barcode of the Republic of Kosovo. Meanwhile, Serbia must also offer concessions to businesses from Kosovo who want to export to Serbia and Bosnia and Herzegovina, while respecting the right of people to free movement. The nine page document states that Serbia must not prevent Kosovo’s efforts in the international stage and that it should not prevent the implementation of the energy agreement either.